Servicing the New York, New Jersey and Connecticut areas. Contact us for a free quote! Do you have a Backup Server? Your files are your business. Protect yourself against ransom-ware and computer failure. Build a custom server in your office. Our backup solution is a homegrown script that gets implemented directly into your computers. We do not install any third-party software and we use all the tools that your computer already comes with. Our scripts are also highly malleable, enabling us to tailor-suite them to your companies specific needs. We also offer cloud-integration so you can keep your files safe by having them uploaded to the internet. Tell us about your server needs and we will be able to give you a comprehensive quote, including optimal scheduling times. An IT Professional arrives at your location and sets up the server. We implement custom coding that will ensure that your data is backed up. We pride ourselves on our top grade rapid support. Patient, professional and knowledgeable! Extremely pleased with the service. 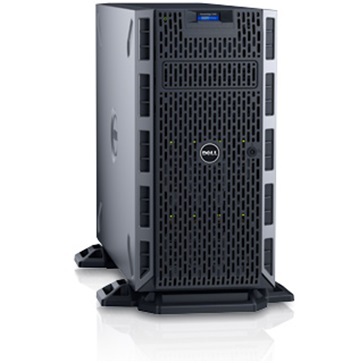 A server that fits your needs and your budget. On-site installation, management and support. 36 hour on-site response time. Optimized for all the latest operating systems. Your files aren’t exposed to the internet. IT Professionals New York City are a group of expert computer technicians who have banded together to create a unified network structure for small businesses. All of our technicians have been in the industry for years and have had hands-on experience with all different Network infrastructures. The answer is Cloud based solutions use what is called File Synchronization or Two Way Sync. Which means that your files are constantly being sent back and FORTH between the server and your computer. As such your files are being read, written and modified all the time. Data fragmentation. This is when the cloud-based program creates multiple versions of the same file. File corruption. Due to the constant stream of data being sent to and from the network should the process get interrupted due to power loss or internet connectivity issues your file will end up having invalid data inside making the it entirely useless. Computer Performance. Your personal computers performance takes a sever hit due to having to constantly monitor and update your files. Internet Throttle. Your internet connection also gets throttled from the increased traffic of having both Up and Down streams running. Data Security. Your files are constantly exposed to the web, enabling anyone to potentially access them. Our solution by contrasts only backs up your files to the server and does not modify them in anyway. This negates all the issues described above. Copyright itp.nyc 2017. Created by the Saber Team.